The above 2-pack looks at a couple of very important sectors of our economy, Home Builders and U.S. Concrete. Both have been hit very hard this year, declining large percentages. Both have been much weaker than the broad markets. The declines this year have both testing 7-year rising channels at each (1). 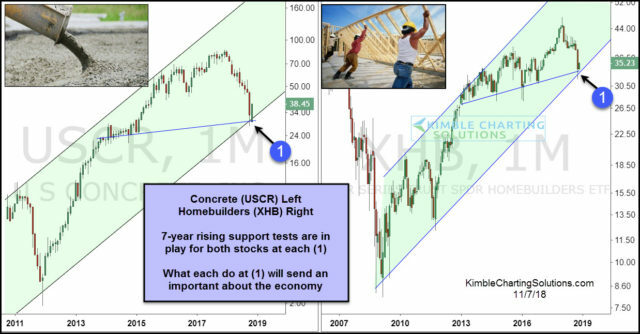 If both break support at each (1), possible they would be suggesting the economy will be soft going forward.